This is the second time I have eaten breakfast at Briarpatch on Park Ave in Winter Park, Florida and the pancakes have yet to disappoint. Ugh, they look so good just looking at them in this photo, haha. 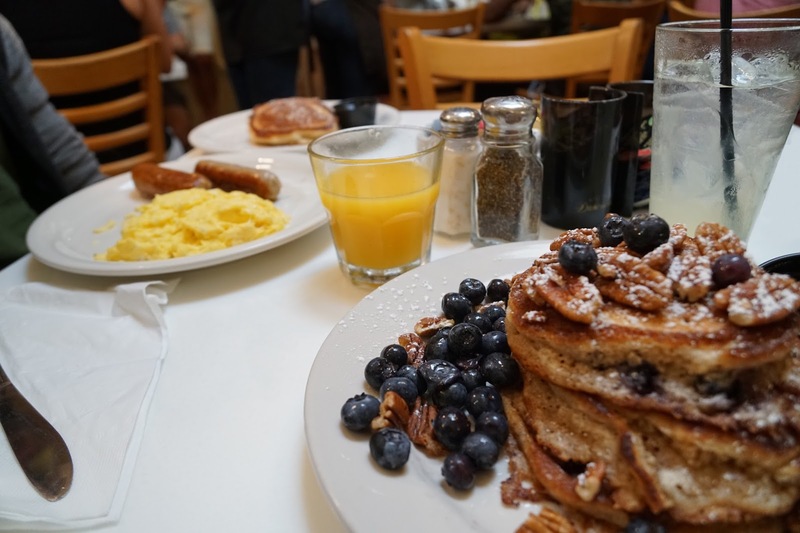 I order the Blue Heaven wheat and fiber pancakes with pecans and blueberries for the first time which was delightful. The first visit to this restaurant I ordered the Blueberry Stuffed Pancakes with lemon curd and blueberry syrup. Um, can you tell I love blueberries? They also have a lunch menu which I plan to go one day and have a lunch date some time soon. Anyways, here is another wonderful restaurant I would suggest to try whenever you happen to be in town and around. It's delicious!